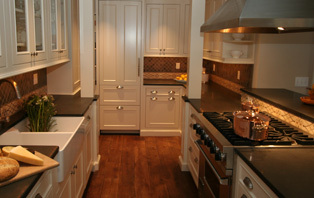 With custom kitchen and bath cabinetry, and premium custom countertops, Vermont Kitchens will transform your home. 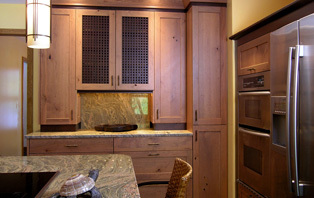 We are proud to offer Wood-Mode Fine Custom Cabinetry. For design inspirations, browse the complete gallery of custom kitchens, baths, closets and more. 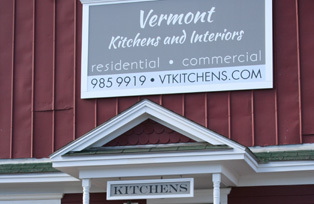 Vermont Kitchens and Interiors started in a sleepy little showroom in 2000. Since then we have grown into a company of trained experts ready to help you create the home you’ve always wanted. With a long list of satisfied customers, we have a reputation for delivering spaces you can’t achieve with just any designer. Our goal is to give you the kind of personalized service you expect but rarely find in today’s world. From our home base in Shelburne, we serve the greater New England area and beyond. 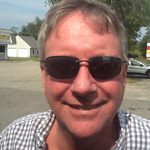 John has been helping to elevate the design services at Vermont Kitchens and Interiors for 36 years. He specializes in home design and construction and has received multiple design awards throughout his career, including multiple Best Kitchen and Best Bath awards presented by the Vermont Builders and Remodelers Association. Just don’t let John’s title fool you. Even as President, he is a hands-on designer and job coordinator for the company, seeing products through from start to finish on a daily basis. 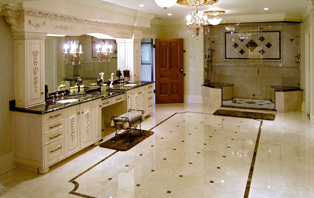 His experience helps to make our services second to none in the kitchen and bath design industry. 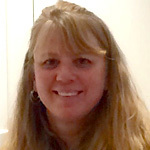 Mary serves as our office manager, and has 25+ years of experience in the lumber and construction industry. She previously worked at Rice Lumber Company as a credit assistant, and joined the team at Vermont Kitchens in August of 2014. Since day one, Mary has proven to be a multifaceted team player, and although she is often unseen by clients, she plays an incredibly important role in every project. Taylor recently graduated with a degree in business management from Champlain College in Burlington, Vermont. 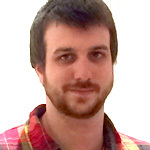 He has 8+ years of experience at Rice Lumber in outside/inside sales support, and assists Vermont Kitchens with its social media presence and technical support (IT). Your home should be your sanctuary, a place for family and friends to come together and relax. 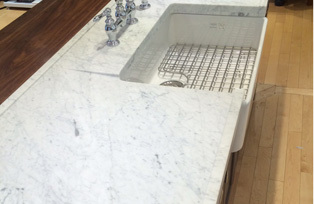 At Vermont Kitchens and Interiors, we want the journey to your perfect kitchen, bath or other space to be easy and care-free, and we’ve established a design process that will let you breathe easier every step of the way. 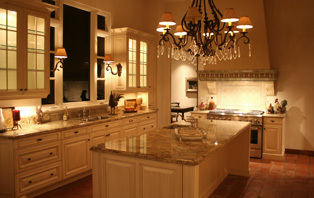 Our designers will provide you with award-winning plans, personal services, and the highest quality cabinetry and countertops. Once we’ve helped you perfect your kitchen or bath, we’re happy to see you through your home entertainment center, custom closet plans, home office, fireplace surround, pet parlor, and built-ins as well. Our design process starts with understanding your home and family. Come in for a design consultation meeting where we’ll collaborate with you to plan a room to fit your style, your space and your day-to-day life. Following the consultation, our designers will refine your design and create a plan that matches your vision and your budget. Over the next six to eight weeks, Wood-Mode Fine Custom Cabinetry will craft the cabinets to the precise specifications of your room. The final installation will leave you delighted with your new space, showcasing the finest products and craftsmanship. 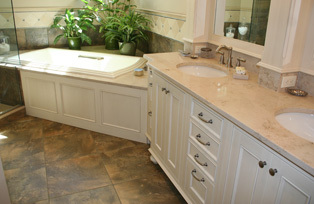 Nothing completes a beautiful kitchen or bath like a luxury custom countertop. 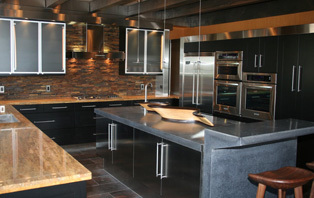 Vermont Kitchens and Interiors specializes in premium materials including imported and locally quarried granite, marble, serpentine, Cambria, Pental, Caesarstone, Zodiac, Silestone quartz products, quartzite, slate, soapstone, concrete, wood and locally made wood, metal and glass. With an abundance of colors, textures and moods to choose from, we’ll help you pair the perfect countertop with your custom cabinetry to give your room a style that’s all your own. While some bathroom projects play second fiddle to larger and more involved kitchen remodels, we pride ourselves in the attention to detail our team pays to this very important and often under-served room. 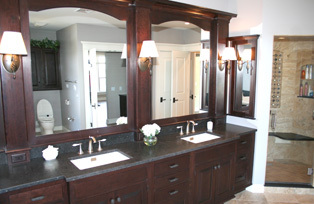 We use the same tried-and-true process, perfectly designing bathrooms around your aesthetic and functional needs. From the design and finish of the cabinetry, to the placement of towel bars and mirrors, to the interior functionality of the storage and laundry solutions, our goal is to make your bathroom a peaceful and welcoming retreat. By understanding how you and your family use this space, we can incorporate details that make day-to-day life a little more simple, while showcasing the finest products and craftsmanship. Quality service and timely turn-arounds are important, but our designs speak for themselves. 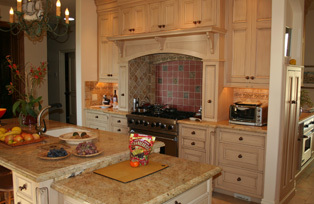 Traditional, transitional, or contemporary, we can create them all. Browse our portfolio for ideas, then come in for a consultation and let us turn your ideas into reality. The very best in American-made craftsmanship, Wood-Mode luxury products are the culmination of more than 70 years of precision workmanship and design leadership. Best known for their stunning, furniture-grade finishes and extensive customization capabilities, Wood-Mode delivers designer cabinetry with quality materials and personalized solutions to satisfy the most discerning homeowner. Inspired by the very best of Wood-Mode, Brookhaven by Wood-Mode provides the same dedication to quality materials and American craftsmanship in a select group of products with limited customization options to meet your budget. The Brookhaven selection of styles, finishes and storage solutions puts the Wood-Mode lifestyle within reach. 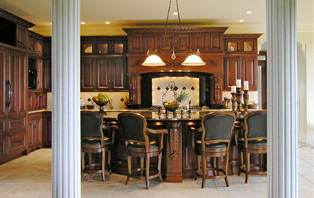 Wolf is the largest supplier of kitchen and bath cabinetry in the U.S., and a major supplier of building products. The company actively serves over 4,000 independent dealers in 29 East Coast and Midwestern states. During more than 170 years of continuous operation, Wolf has built a well-deserved reputation for consistently courteous and reliable service. Beautifully captivating and incredibly durable, Cambria creates unique surfaces with the true elegance you demand of natural stone, and the hard-working performance your everyday life requires. 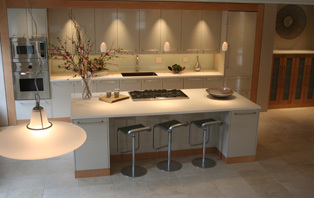 PentalQuartz offers a unique variety of materials suitable for every room in your home. From kitchen countertops and bathroom vanities, to bar tops and bathtub surrounds, PentalQuartz will complement your home décor for years to come. Caesarstone Quartz Surfaces and Countertops offer the ultimate combination of form and function, allowing for a more diverse, durable, and practical surfacing material than either granite or marble. 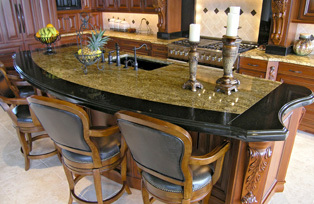 With stain, scratch, and heat-resistant properties, it is the ideal choice for care-free countertops. The very best in American-made craftsmanship, Wood-Mode luxury products are the culmination of more than 70 years of quality workmanship and design leadership. Best known for their stunning, furniture-grade finishes and extensive customization capabilities, Wood-Mode delivers designer cabinetry with quality materials and personalized solutions to satisfy the most discerning homeowner.